Soundstage presents Legends - celebrating music from TV and the movies. All Soundstage bands from Reading, Bracknell and Windsor music centres will showcase their work from the Spring term. 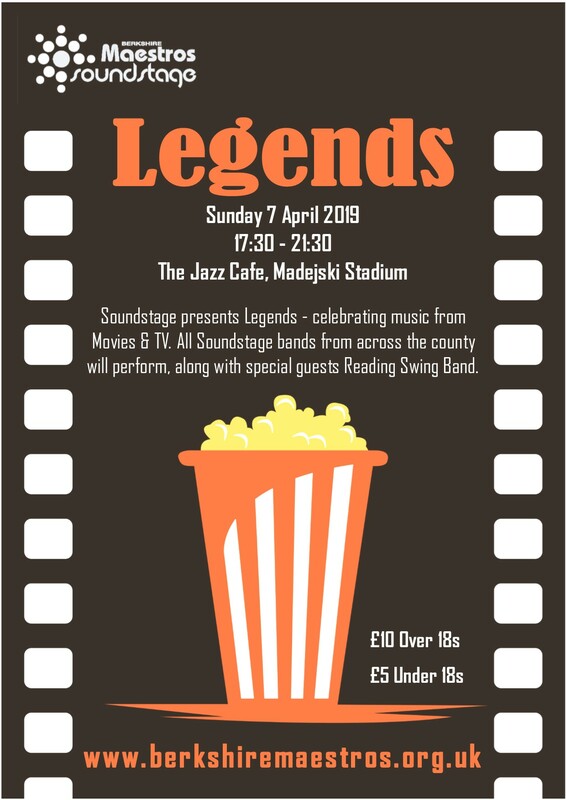 Reading Swing Band will also be performing in support.